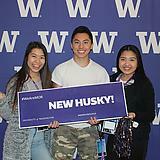 Our Spring programs and events are developed to help newly admitted students discover and experience what the University of Washington has to offer and to encourage underrepresented minority students to pursue higher education. 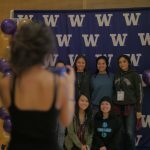 Newly admitted students, along with their parents and others within the student’s academic network, are invited to discover all the University of Washington has to offer through the 2019 Purple & Gold Experience. 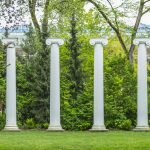 EEE was created to encourage Latino students to pursue higher education, as well as to give them the opportunity to experience the UW. Participants will meet future classmates, learn about campus programs, interact in admissions and writing workshops and discover the diversity and unity that exists within the UW community. 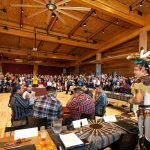 NASD was created to encourage American Indian and Alaska Native students to pursue higher education, as well as to give them the opportunity to experience the UW. “Poly Day” as it is commonly known, is a celebration of the Polynesian culture hosted by the Polynesian Student Alliance at the University of Washington. 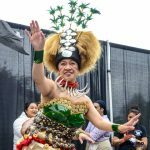 This popular event showcases authentic Polynesian and Pacific Islander music, dance, and regalia from some of the islands right at the heart of the UW campus. Rising SEAs was created to encourage, motivate, and empower Southeast Asian and Asian American students to pursue higher education, as well as to give them the opportunity to experience the UW. 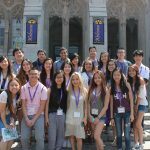 Participants will meet current Southeast Asian and Asian American UW students, interact in workshops, and prepare them to be competitive applicants to UW. 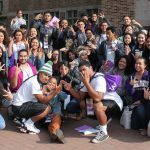 Readiness for Islander Success in Education (RISE) is designed to engage Pacific Islander high school juniors and seniors interested in applying to the University of Washington – Seattle. Participants will engage with current UW Pacific Islander students, UW faculty, staff, key community members and will receive information on college admissions and comprehensive writing workshops, scholarship resources, cultural empowerment activities, and an extensive college network that will support and mentor them through the college application process.